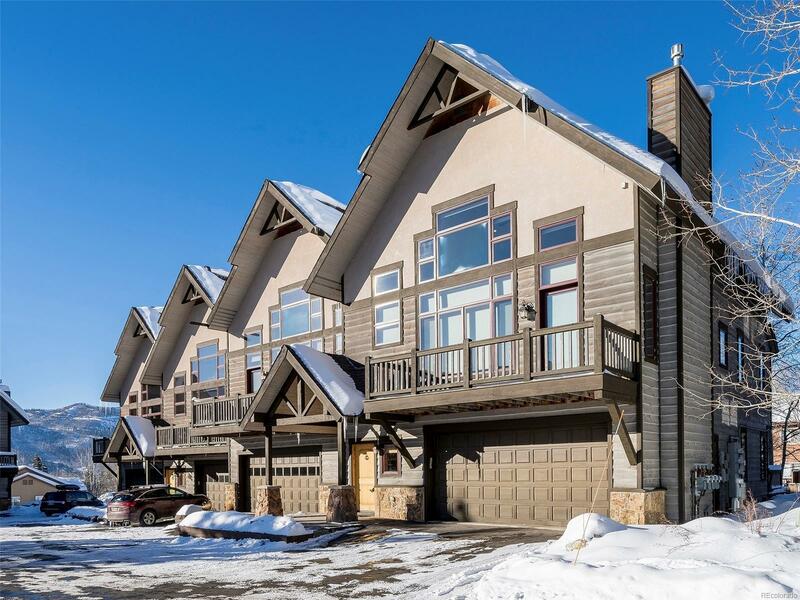 This incredible townhome is located less than a half-mile to the resort base area and emanates radiance throughout. Featuring cathedral ceilings, huge picture windows, a massive moss rock fireplace and pendant lighting, this property is immaculate. The kitchen comes outfitted with granite counters, stainless appliances and custom wood cabinetry. A large main level deck captures the afternoon sunlight while a secondary downstairs walkout deck enjoys a ski area view and is completely unique for this development. The tiled entry is the perfect place to greet your guests or kick off your gear from a day of fun in the outdoors. Built-in speakers, knotty pine accents, electronic upper shades and a large third-floor bedroom provide a level of luxury youâll appreciate. Sold furnished with an attached 2-car garage and common area hot tub, this is a perfect year-round residence or rental income property.